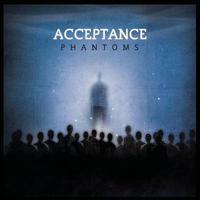 Acceptance’s Phantoms was an under-appreciated album when it first came out in 2005 – there’s no doubt about that. Years later, pop-rock / pop-punk fans look back on the album with an adoring fervor, treasuring vocalist Jason Vena’s lyricism and the catchy, well-thought-out melodies present in the musicianship. Phantoms is even more special because it’s the only record Acceptance ever released; while it’s obvious that the album is very good on its own, there’s always a small tease when listeners wonder how good the band could have been if they were able to stick together a little longer. The album was reissued on vinyl for the first time by Bad Timing Records in July 2013.